AMBER LOVE 12-JAN-2015 Today’s show focuses on cultural privilege and appropriation while talking about Asian-American music, arts, comic cons and a ton of great discussion about intersectional social justice. SIMON TAM founded the “Chinatown Dance Rock” band called THE SLANTS. Because of their name, the US Trademark Office is none too fond of the band, but they have considerable support from their own community backed up by thousands of pages of documentation and signatures. Simon and I nerd out about conventions and the arts before getting into the deep discussion about the Trademark case and whitewashing in Hollywood. *Also, it’s not your cat or a cat hiding in your car. Ollie woke up from his nap and started crying and I wasn’t always able to mute. Simon introduced the style of the band, the reason they were founded, and the importance of it being pan-Asian. Chinatowns across the US were the safe places for Asians of all backgrounds. Yet, as Simon explained, their music is mostly influenced by British rock. The Slants are based out of Oregon so you’ll be able to find them touring in the Pacific Northwest mostly, but they will be back on tour in 2015. With their new lead singer, Ken debuting, they are in the studio right now working on a new album. 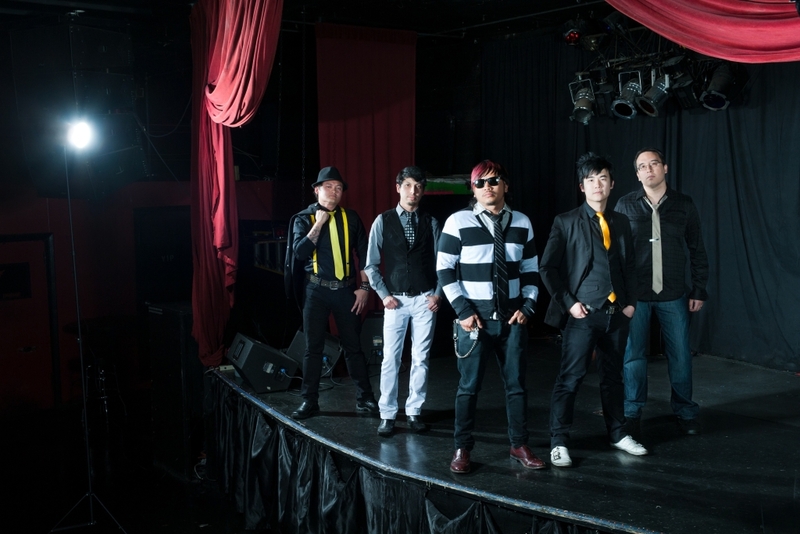 At the beginning of the episode, you heard the introduction of The Slants’ single “Con Kids.” At the end of the show, you can hear the full track “Adopted” from their previous record The Yellow Album. I love that song so much and the video, which we discuss the making of, featuring a steampunk style with aerial performers. Conversation steered into geek culture to talk about perception of inclusivity in places like the comic publisher ranks. Image Expo last year tweeted a now infamous photo of their company and no female creators were on the stage; this year there were six. They had women working for them last year, but the perception of exclusivity and not being welcoming unleashed nerd rage. Simon is well aware of the geek culture and grew up attending San Diego Comic Con; but, he finds his experience as a performer completely different. He’s attended almost 180 cons in less than eight years! Scarlett Johansson was cast as Motoko Kusanagi in GHOST IN THE SHELL. Simon talks about Hollywood’s financial motivation behind all the whitewashing. The importance of George Takei! We’re nerds so we had to talk about the work and life of one of the most popular actors in our nerdom, plus Takei’s tenacious impact on social justice fighting for marriage equality. The Slants have been in court for six years trying to secure the trademark for their name. They’ve been denied a couple of times; the second application’s rejection was only copied and pasted from the first. In regards to them using the word and wanting commercial rights to it, Simon states it’s not like using “slant” is unheard of within the Asian-American community. There’s the Slant Film Festival in Houston, TX , for example. The US government cares not for empowerment and reclamation. Alternative connotations which Simon and the band embrace have to do with the music representing their own slant on life and all their experiences. He applied for the Trademark in 2009 (the band formed in 2004) rejected by the government citing its clause in the 1946 Trademark Act which says they can’t consist of “immoral, deceptive or scandalous matter.” There are almost 800 trademarks with the word “slant” in them and they are all owned by white people, according to Simon. In the spirit of pop culture, geekdom, and social justice, I reached out to three well-known people in my Twitter feed (two from comics and one writer/activist). I sent the link from the OregonLive article about The Slants’ trademark case and asked if they had any quote for me. NONE replied or asked me for more information. Maybe because it was over Twitter – maybe unintentionally lost in the noise – but for three people who are regularly public speakers about Asian-American culture to stay silent seemed odd to me, but judge for yourself. Advocates don’t usually stay silent. The OregonLive article pointed out that QUEER EYE FOR THE STRAIGHT GUY exists while other businesses using the word “queer” are rejected. The Washington Redskins is an example of a long battle for the rights to the name but in that case, there is no ownership by the Native American people it’s supposed to represent as The Slants have done with their argument of reappropriation as being the injured population of a slur. The community they serve supports them. What’s also come up because of the NFL case is that a law professor filed a complaint with the FCC requesting sanctions to ALL broadcasters who even say the name. “Attorney General Eric Holder has called the team’s name ‘offensive,’ but the Justice Department is not taking a position on whether the name should be changed. Rather, it is intervening solely “for the limited purpose of defending the constitutionality” of federal trademark laws, according to the brief it filed Friday in the U.S. District Court of Eastern Virginia. I had to ask Simon about the new ABC show FRESH OFF THE BOAT and what his expectations are. As it turns out, he knows the star of the show and has read the book so he’s looking forward to it. 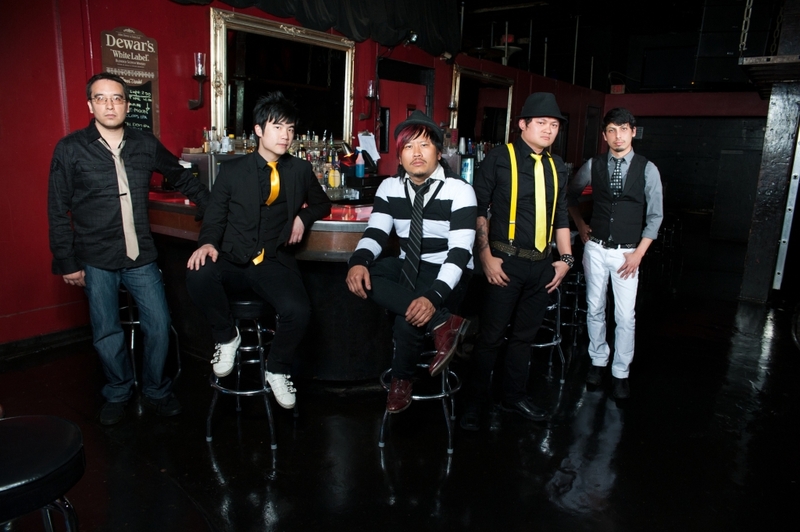 http://www.theslants.com/ Go check it out because they have great music videos and tracks to play and their schedule of performances. 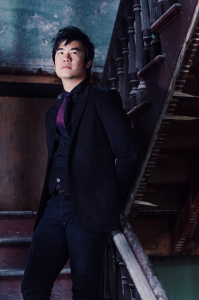 Simon Tam has given several TEDx Talks. VODKA O’CLOCK 1501 with @T_Boatwright. All about @Patreon & choosing your crowdfunding platform.